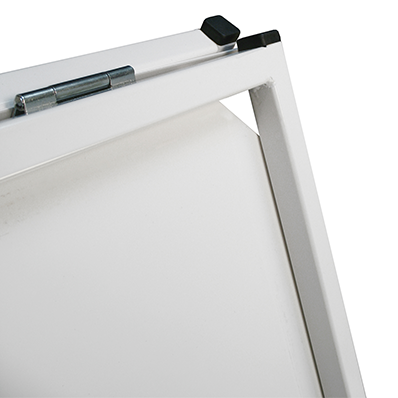 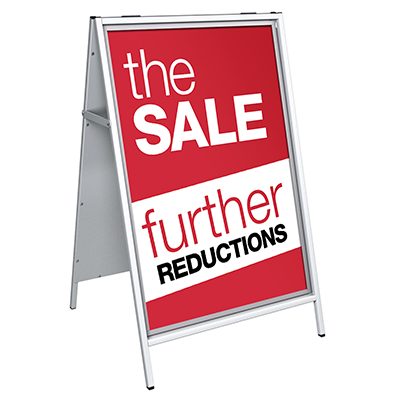 This simplistic poster A-Board has two large display areas making this system ideal for pavement advertising. 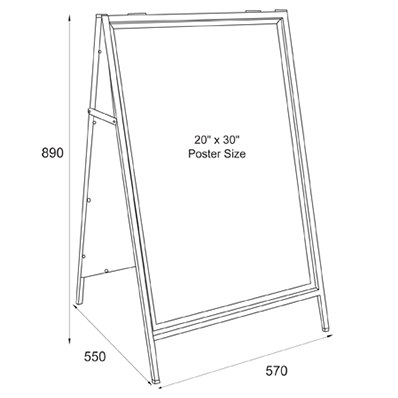 Posters can be changed in an instance making it ideal for locations with regular updates including bars, cafes, theaters, etc. 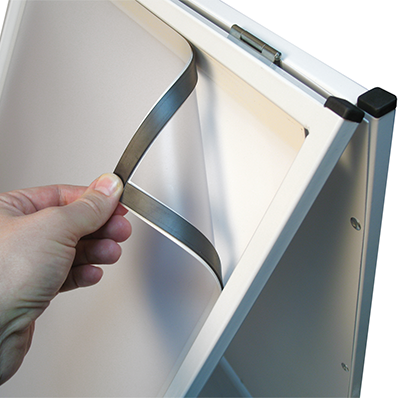 Ideal for internal and external uses the fold flat design makes this system portable and easy to store between uses.